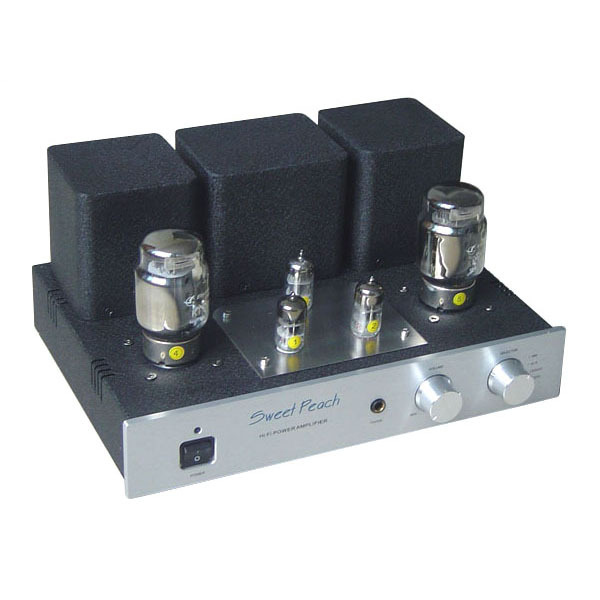 1.This little tube amp pushes speakers as well as having a wonderful headphone output. With no less than five sources signal inputs for selecting : USB input,AUX line input,CD/DVD input,MP3 input, MM input, you will have to be amazed by the wonderful sound it can produce . 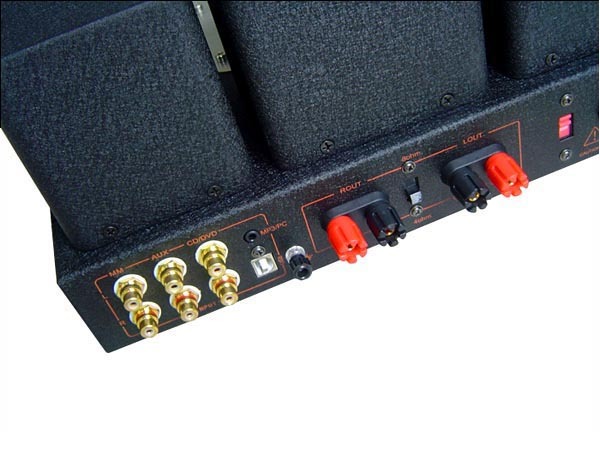 2.This is easy the best bang for the dollar, able to drive speakers and with a fantastic headphone output and 5 inputs all in a small foot print. 3.It is best illustrated with lyric song ,such as violin, saxophone, piano, vocal, Jazz, Classical, stringed music etc. 6.USB input, USB 2.0 decorder to connect with your PC and plays your music collection (compatible with WinXP or later). 8.MM input, also RCA left and Right.Can be connected to MM phono(old moving magnet phonograph turntable) . 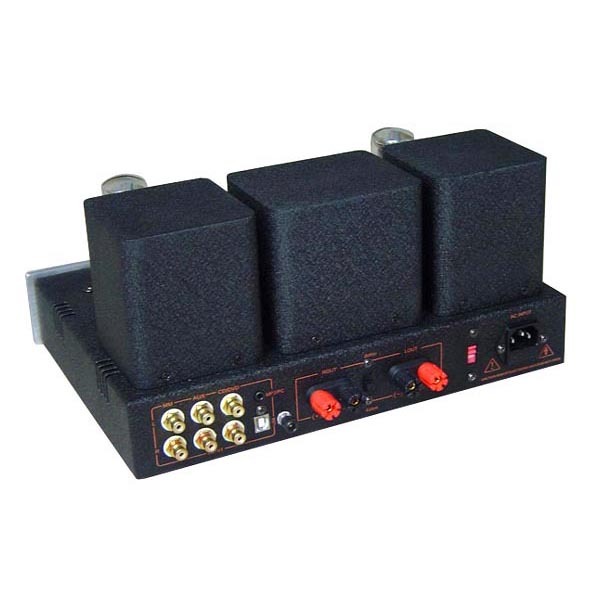 9.Specially fitted with headphone output, able for direct use of headphone (for impedance of 32ohm-600ohm). 11.Audiophile input and output connectors. 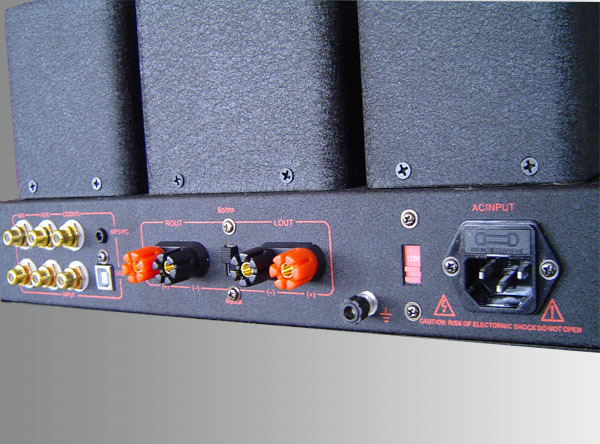 12.Recommended speaker: the sensitivity of more than 87 DB, impedance more than 4 in Europe.